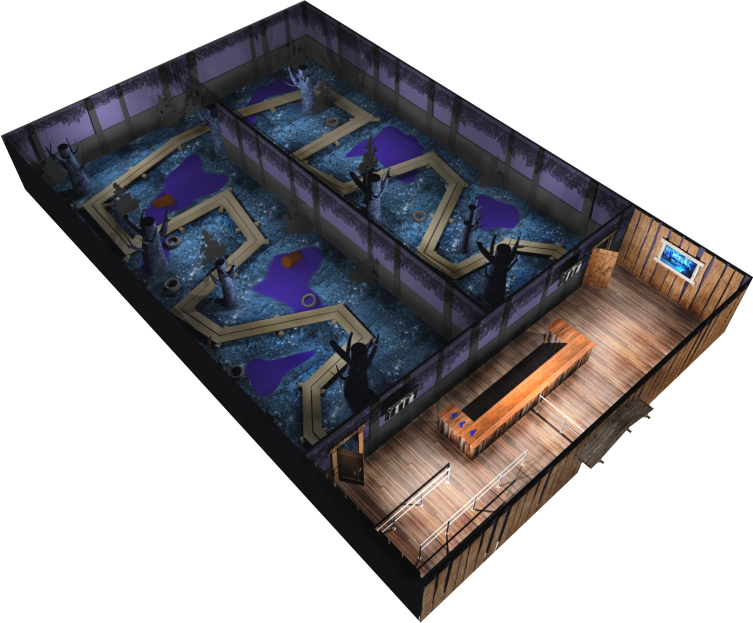 Dare to enter the haunted swamp? Hunters, load your weapons!The adventure starts with a preshow in the bayou lodge. Hunters will be given special weaponry to take down the creatures that lurk in the swamp as they walk through the narrow wooden path. 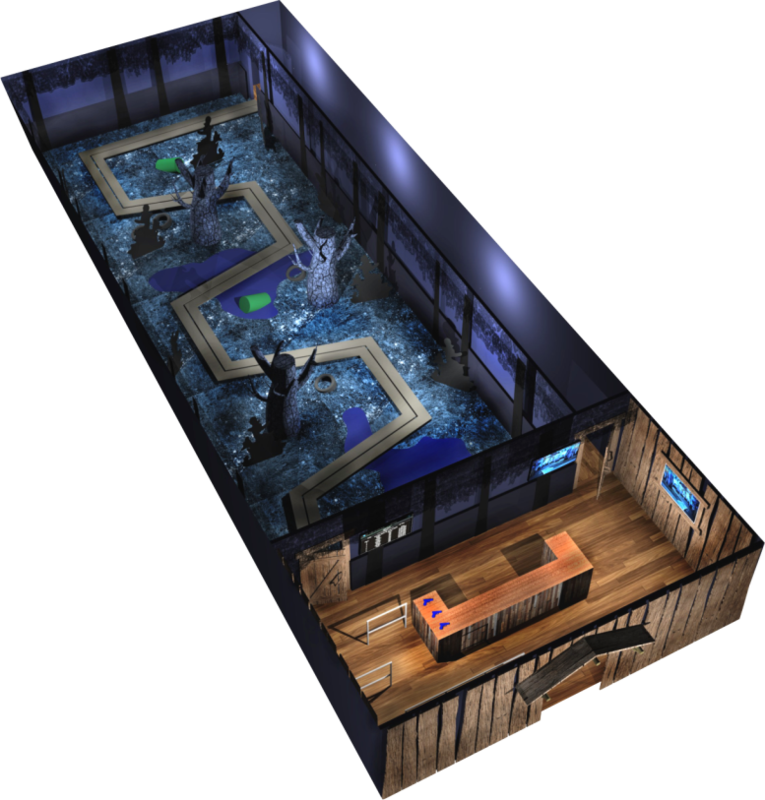 The Haunted Hunting multi-sensory atmosphere is built around a dark marshy wetland concept where targets appear randomly while the player moves through a well defined path. Points are awarded according to speed and accuracy of the shots. Real-time scoreboard at the preshow room pumps up the suspense and excitement for the players in line.